The Flying Eagle Cent was first produced as a pattern cent in 1856 and then officially produced for only two years; 1857 and 1858, but the idea of producing a smaller cent to replace the larger “Large Cent”, first surfaced in 1837. Dr. Lewis Feuchtwanger devoted a significant amount of time attempting to convince Congress in using his own composition of copper, nickel and zinc which produced a silvery appearing coin. The coin was lightweight and durable. Congress rejected his proposal but that did not stop Feuchtwanger. He produced his own tokens with the declared value of once cent. Still no luck. Around 1850, the price of copper rose to a point that caused concern for the Mint. The Mint experimented with a smaller sized coin with several designs and metal combinations. In 1851 the price of copper subsided and the urgency for a new cent went away. In late 1852 and early 1853, the price of copper once again rose to historic levels of 42 cents per pound. The Mint estimated that when copper was over 40 cents per pound, the Mint suffered a loss when making the Large Cent. In 1853 some patterns were created, but still no definite orders for change. In 1854 and 1855 even more pattern cents were produced. These patters were similar to other Liberty Head designs of the times. Still, no orders to change. In 1856, the Mint’s melter and refiner, James Booth, determined that a mixture of 88 parts copper and 12 parts nickel with a weight of 72 grains would be an ideal metal for a new cent. This alloy would be known as the copper-nickel alloy. The end result would be a coin that was small but thick so as to not be confused with silver denominations at the time including silver three-cent pieces, half-dimes and regular dimes. If you have ever held a Flying Eagle, you will immediately notice the thickness as compared to a modern day Lincoln Cent as well as these other silver denominations. Finally, on July 11, 1856, Mint Director James Ross Sweden recommended the new style. The Mint’s Chief Engraver, James B. Longrace, was tasked with preparing new patterns with the new metal and size. The new design featured an eagle flying to the left. The eagle motif was the same design used on the Gobrecht Dollar. It has been speculated that the eagle design is that of Peter the Eagle who was a mint resident during the 1830’s and is now stuffed and a permanent residence. The difference in design though was that the eagle motif on the cent is flying horizontally while on the dollar coin the eagle is flying at a slight angle upward. For the reverse of the new cent Longrace choose to reuse a design he created for the $1 and $3 gold coin. It is interesting to wonder why new designs were not created for such a monumental change. It is a fact that Longrace copied his designs and other designs for changes such as the two-cent piece and the shield nickel. In late November of 1856, some pattern cents were struck for distribution to congressmen, newspaper editors and for anybody of influence. It still remains a mystery today as to how many were actually produced. Nearly 300 have been certified by PCGS and although they were never meant for circulation, many of the graded coins are in lower/circulated grades. During this time, it was not uncommon for the mint to re-strike coins for collectors and consequently, sometime after 1856, additional 1856 pattern cents were produced in proof format. Like the other patterns, many of these also reached circulation. The new design was a hit and in 1857, The Coin Act of February 21, 1857, eliminated the large cent and authorized the production of the new cent. Finally, in April of 1857, production of the new cent began. They were stockpiled for several weeks until the official release date on May 25th, 1857. As was typical of the time, the public clamored for the new coin while several newspapers highly criticized its design. The public traded in old large cents and other silver coins for the new cent. Due to demand, the Mint produced over 17 million cents, which far exceeded any previous mintage of the Large Cent. With the new coin not authorized until February, the Large Cent saw a very low mintage in 1857 crating a rarity. Another 24 million Flying Eagle cents were produced in 1858. Despite the early popularity, the Flying Eagle Cent needed a change. And change it did. Although the new cent seemed to be popular, officials at the Mint were not satisfied. It seems that higher points of the eagle were directly opposite of the wreath on the reverse causing striking problems such as weekly stuck coins. As early as 1857, changes were discussed as Mint Director Snowden proposed that Christopher Columbus should appear on the cent. Since no real person had ever been on a circulating US coin, it was believed that the idea of Columbus would not be approved. In 1858, pattern coins with a smaller eagle were produced but the result was not satisfactory. Sometime during the same year, James B Longrace, who was the Chief Engraver at the Mint, designed a new obverse which depicted an Indian. The reverse was a laurel wreath rather than the agriculture type wreath. Both were of lower relief. While it was rumored that Longrace used his daughter for the design, it is believed that the face of the design came from the 1854 $3 gold dollar. Longrace simply added a ceremonial headdress, which was typically worn by mail Indians, not female Indians. It is also now believed that Anthony C. Pauet, who was an assistant engraver, either designed the reverse or had significant input into the design. Several months after the patterns were made, on November 4, 1858, Mint Director wrote to the Treasury and stated that the Flying Eagle cent was not acceptable to the public and that the new designs of an Indian head motif was now ready and that the new design should begin January 1, 1859. It is interesting to note that an Indian head would appear on a US coin while out west the US was at war with the Indian tribes. It would certainly not be the last time that an Indian motif would appear on a US coin. It would also be 17 years until the Battle of the Little Bighorn. Despite some controversy on the new design, it went forward and in 1859, over 36 million cents were produced. Again, this was more than any other previous year. Demand was high. Despite the success, the design was changed again. In 1860, a shield was added to the reverse. Reasons for this change are unclear. It is suspected that striking was not an issue as there are many examples of fully struck 1859 pieces. Part of the success of the Flying Eagle and the new Indian Head cent was the direct result of the Mint program to exchange old large cents for new cents as well as exchanging Spanish and Mexican fractional dollars for new cents. The intent was that the Mint would recoin these metals. The copper-nickel alloy had now been in use for several years but it was tough on Mint equipment. The alloy was very hard and caused rapid die wear. The result was weekly struck coins. In 1863 the Mint observed that citizens readily used private tokens made of a softer bronze alloy (95% copper and 5% tin and zinc). And in fact, some earlier pattern cents had been stuck in the alloy. The Act of April 22, 1864 called for a new alloy and soon production of cents used the new alloy. This change happened sometime during the year resulting in two different alloys being used. In 1866 production of Indian head Cents dropped of dramatically as two-cent pieces and the new copper three-cent piece circulated widely. For several years production was less than 10 million pieces. A Few years were slightly over 10 million with the low being 1877 when only 852,000 were produced. 1877 is now the scarcest of all Indian Head cents. A few years later demand picked back up and in 1879, production went above 10 million and stayed well above that number until near the end. In 1907, the mint produced over 100 million cents. It was the first time that any coin had been produced in such large numbers. Coin operated machines were making their appearance and cents were in huge demand. Until 1908, only Philadelphia made cents. Beginning in 1908, San Francisco made cents for the first time and in 1909, San Francisco produced the lowest mintage ever (309,000) for the Indian Head cent. 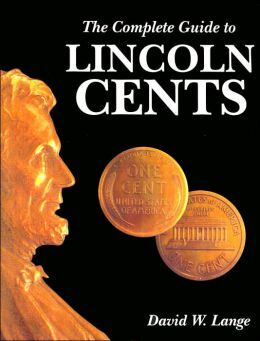 Despite the fact that the Denver Mint had been around for a few years, Denver never made any one cent coins until 1911, the third year into the Lincoln Era. Over the course of its run, the Indian Head cent saw many changes. And with these changes, changes in government, etc, saw the desire for a change to the cent. 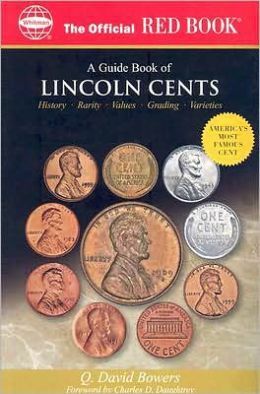 In 1909, the Indian Head cent gave way to the most minted coin in the world, the Lincoln Cent.